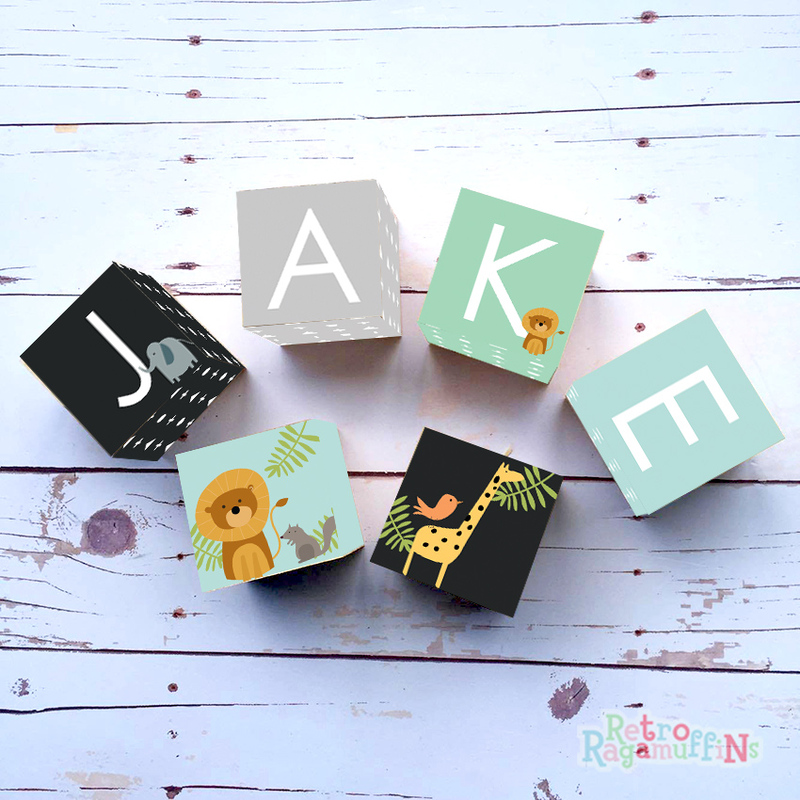 Personalised Wooden Letter Name Blocks Boy Nursery Animals Black - $7.50 : Beautiful Childrens Decor Items, Hand made Prints, Photo Blocks, Wooden Blocks and Plaques. A gorgeous set of presonalized wooden name blocks that are made to order. The blocks come personalized free of charge they make a great gift or feature in your childs room. The blocks are 42mm or 1 3/4 Inch square. And came come with two picture blocks as shown or just your child's name only. The wooden blocks are sealed with a non toxic sealer to make them durable but please note these are mainly for decorative purposes and will not withstand heavy play use.